Arianna VanDoorn founded the Santa Claus Girls in the year 1908. She was the Assistant to the pastor of Park Congregational Church. 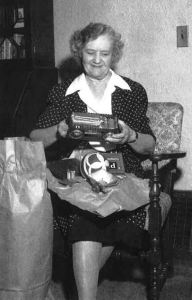 Miss VanDoorn and others in the church wanted to do something to provide cheer for those boys and girls who, due to unfortunate circumstances, would not be receiving any gifts at Christmas time. She talked to the late Arthur H. VandenBerg (Senator), then editor of the Grand Rapids Herald. He agreed to sponsor the Santa Claus Girls. Miss VanDoorn and other Sunday school teachers of the church took over the project and collected $85.00 to take care of 150 boys and girls. 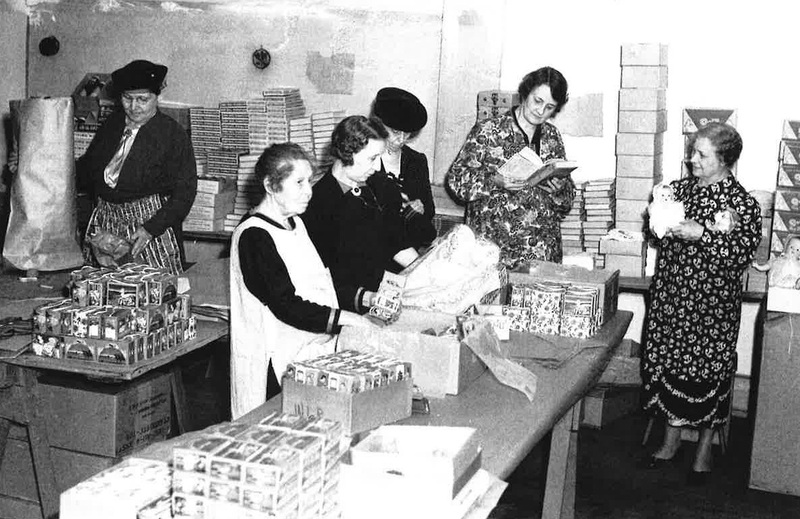 In the year of 1945 the Alpha women’s clubs took over the operation and it became the project of the Grand Rapids Federation of Women’s Clubs. In the year 1959 the Grand Rapids Herald suspended it’s operations and the Grand Rapids Press, in cooperation with the Grand Rapids Federation of Women’s Clubs carried on the work. It has been the goal of the Santa Claus Girls to see that no child in Kent County is without a gift on Christmas morning. The girls take care of children 1 year to 12 years of age. Each child is provided with one new piece of clothing, one new toy, a new book and hats and mittens. The Department of Health and Human Services, the schools and churches provide names of families needing help to the Santa Claus Girls. Many names are also received over the telephone. 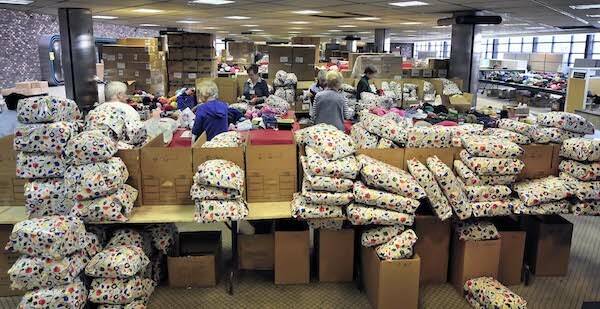 In most recent years, approximately 12,000 children received gifts from the Santa Claus Girls. That number can grow depending upon the economy or other factors in some years that number can be as high as 15,000 children receiving gifts. Santa Claus Girls of Kent County have served the community for over a 100 years and are viewed by the community as a conduit for anyone to support gift giving to children during the holidays season. When donations are received, they are recorded in the newspaper and on the website with the amount and name of the donor or donor group or if requested, a tribute. Through the remarkable support of the community, the Santa Claus Girls have achieved their financial goal every year for the past 109 years. In addition to the funds used to purchase gift, there is also the long-held custom of receiving hand crocheted hats and mittens as well as doll quilts that are delivered to the children. The Santa Claus Girls is a unique charity representing the generosity of the community and that 100% of the funds collected go directly to the program. This is possible because every person associated with the Santa Claus Girls is a non-paid volunteer. This allows 98 cents of every dollar to go to gifts to the children. The other 2 cents is for an independent outside audit assuring financial compliance and for insurance on the inventory. The gifts for the children are selected by age and gender. All the gifts for the children are wrapped and placed in plastic bags, organized by route, and delivered to the child’s home in time for the holidays. Approximately 350 volunteer drivers deliver the packages to homes usually on the third Saturday in December. The job of organizing 350 drivers is a daunting task undertaken by an associated volunteer group named the YMCA Service Club of Greater Grand Rapids.